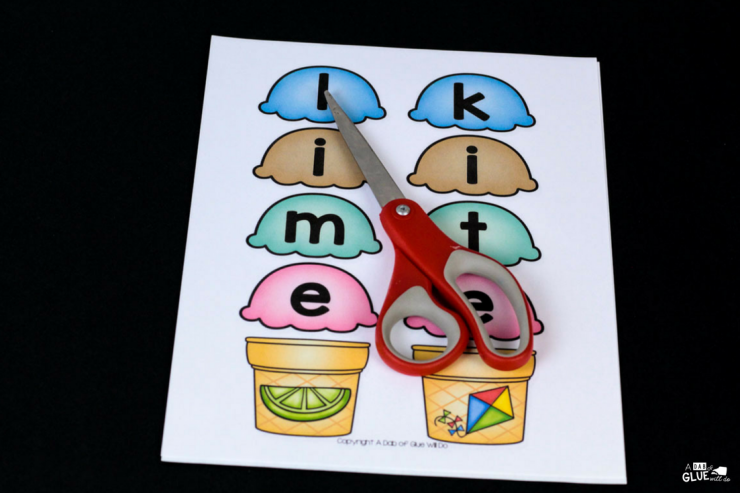 What better way to get students excited about the warmer weather or back into learning than with this Ice Cream CVCE Word Building Activity Printable. 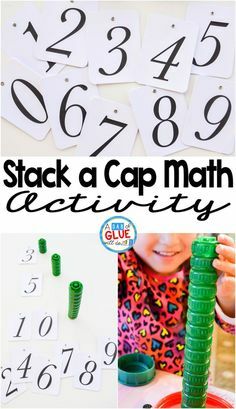 Students will be having so much fun, that they will forget that they are learning! 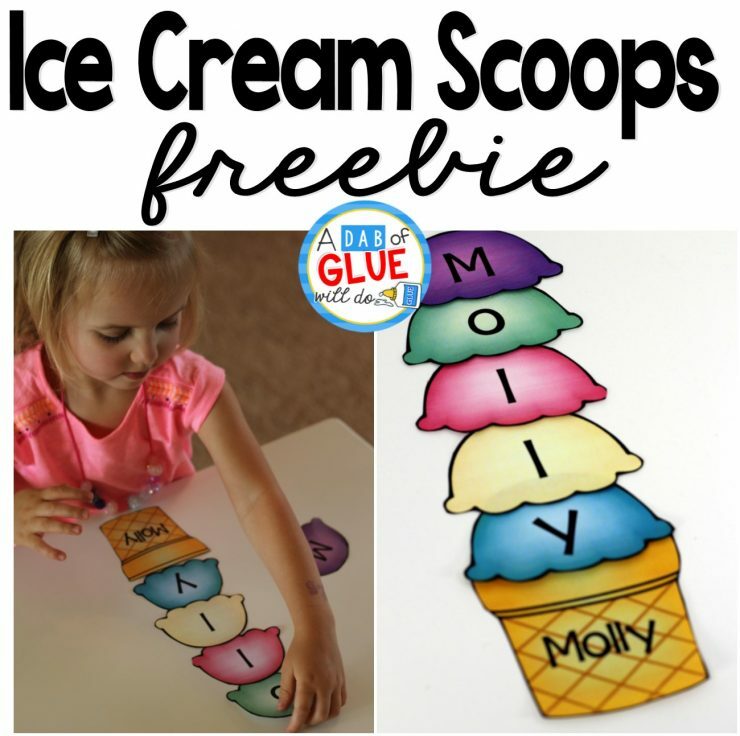 Ice Cream CVCE Word Building come with 24 different CVCE words to complete. 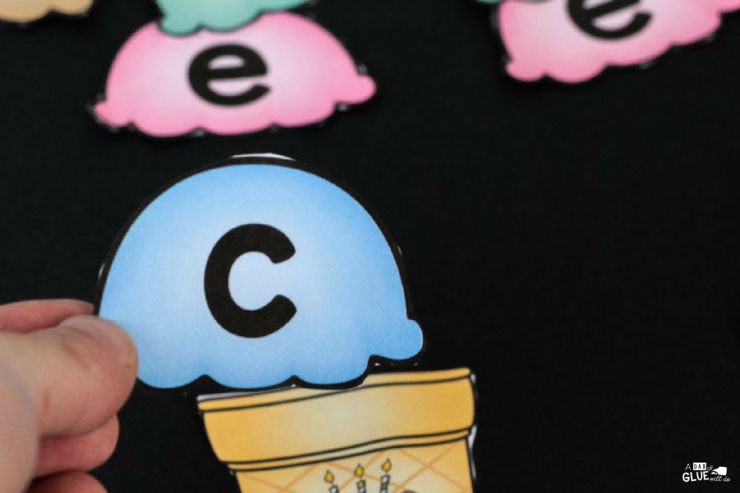 Each match-up has one cone piece that contains a picture of a CVCE word. 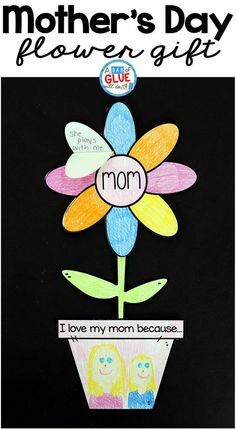 Students will then spell out the picture using the ice cream scoops. Each scoop will have a different letter. 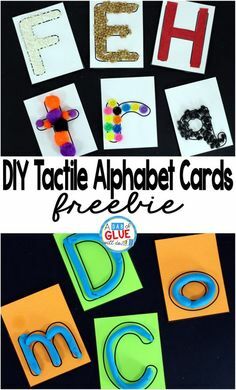 Print the match-ups on cardstock and laminate. This will allow you to use the product year after year. You will then need to cut each ice cream scoop and cone. 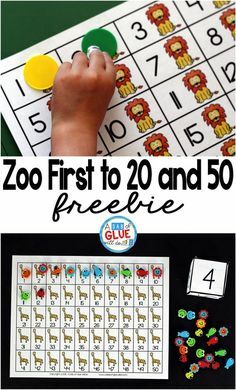 Students will start the activity by choosing an ice cream cone with a picture on it. This student chose a cone showing a picture of a cake. 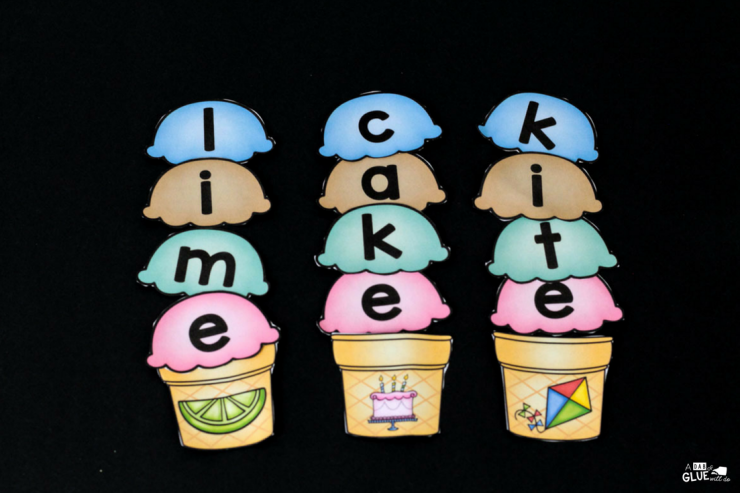 Once all of the letters for cake are on the side, place them on the cone in the correct order. 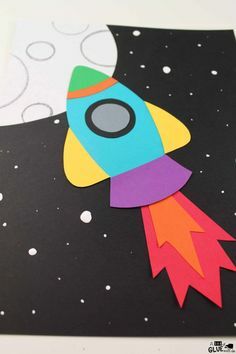 If your students are wanting more of a challenge, you can give them the version that contains all scoops of one color (ex. blue, pink, green, brown, etc.). This will require them to rely only on their knowledge to spell out the words. Download Your Ice Cream CVCE Match-Up Printable Below! 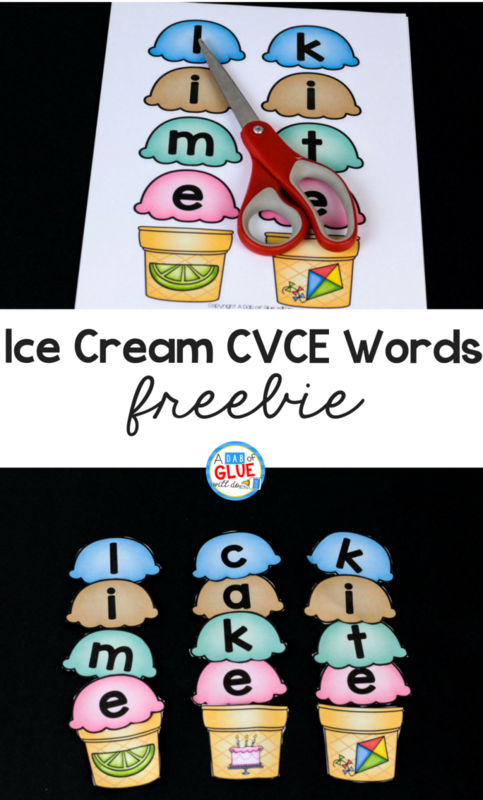 I hope that you and your students enjoy Ice Cream CVCE Word Building Printable to use in your classroom this year! 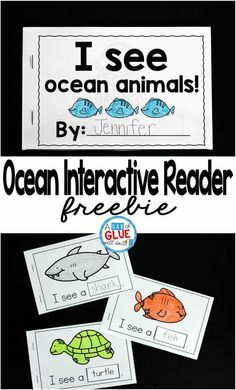 Are you looking for more summer ideas, activities, and printables to do at home or in the classroom? 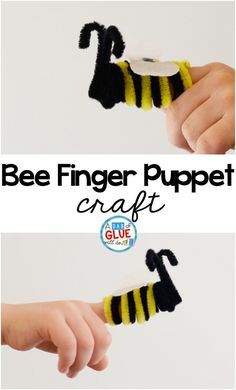 If so don’t miss out on all of our summer lessons!